"I did a thorough documentation of the natural remedies, mostly plants, used by the Amazigh people in the High Atlas. Then, I studied how modernization in its various forms influences the use of plants," explains Irene Teixidor-Toneu, a postdoctoral fellow at the University of Oslo, Norway. "To summarize, there is a change in the use of substances, since people are open to medication prescribed by the doctor. At the same time, traditional knowledge and beliefs concerning plant use are kept alive, although traditions also change over time." 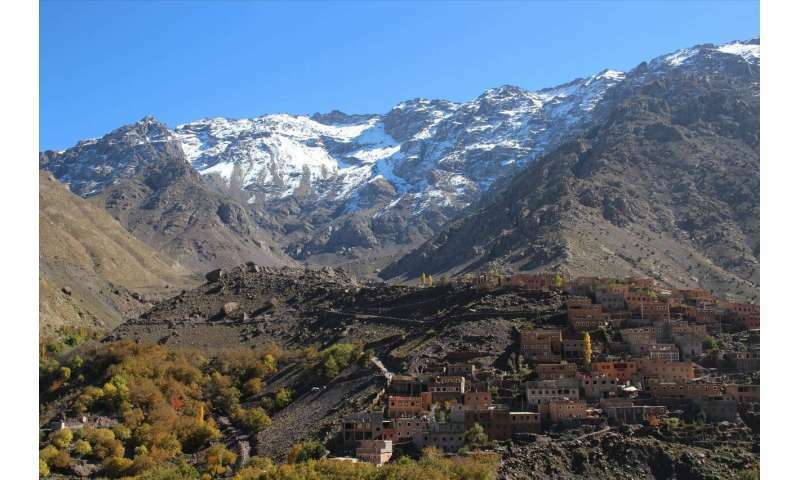 Having spent almost a year in the Moroccan High Atlas mountains, ethnobotanist Irene Teixidor-Toneu finished her Ph.D. on the use of medicinal plants in Amazigh (Berber) villages. Her scientific article, describing the methodology, was published in the October issue of the journal Nature Plants. She is currently working at the Natural History Museum in Oslo, where her methods will be applied to map the use of medicinal plants in Scandinavia from Viking times until today, in a project that was launched in November 2018. Why are certain plants selected for medical use? How does usage change over time? If you were to ask a pharmacist, one obvious explanation to why certain plants are used,is that they contain phytochemicals. Phytochemicals are compounds developed in order help plants thrive or fight competitors, predators, or pathogens. Many phytochemicals have therapeutic effects. However, there is always a combination of reasons why a plant is selected for use, according to Teixidor-Toneu. Ethnobiology is defined as the interdisciplinary study of how human cultures interact with and use their native plants and animals. Ethnobotany is defined as the plant lore of indigenous cultures, also the systematic study of such lore. 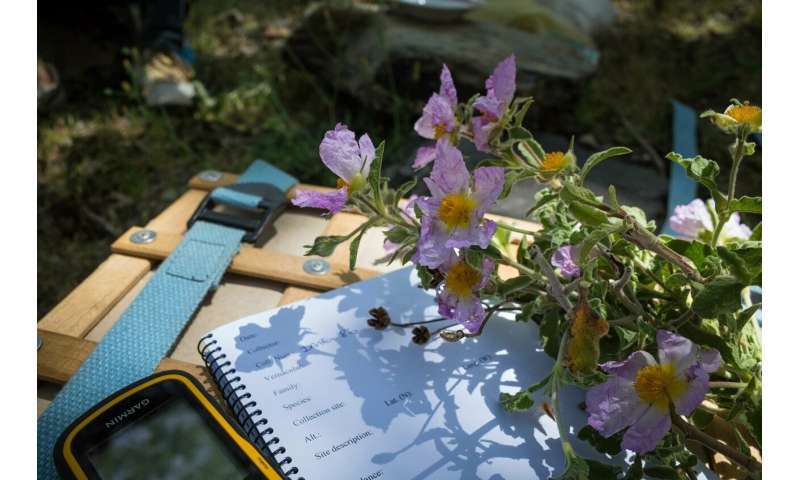 Irene Teixidor-Toneu explains: "In studies of plant diversity and conservation, there are a lot of ecological models that don't take people into account at all. If you think of the vegetation in the Mediterranean area, as an example, nothing makes sense if you don't consider humans and their influence. After all, the region has been shaped and developed by man for millennia." Most of us probably think of food, spice and medicine, when the subject of plant use is brought up. However, there is a multitude of historic and present practices. Like fumigation. Fumigation is the physical process of burning and making smoke out of a plant. This can be ritual or medical or a combination of both. It can be done to clean out a dirty room, to remove fleas and ticks and other insects. In Morocco, the Amazigh burn plant that are rich in resins in order to clean the stables for their animals. Other uses vary from producing and dyeing textiles, making furniture and utensils, construction of houses to providing fodder and veterinary medicine. "There has been a patchwork of approaches and methods because people from different backgrounds have come together, with no common theoretical framework. Researchers from the humanities and natural scientists often have different approaches. In recent years, we have seen some articles trying to unite and define ethnobiology as one discipline, but there are still many ways to regard the interaction of people and plants." Teixidor-Toneu has provided a significant contribution through her perspective article recently published in Nature Plants, with co-authors Fiona Jordan (evolutionary anthropologist, University of Bristol) and Julie A. Hawkins (phylogenetist, University of Reading). Basically, it is a summary of the theoretical analysis for her Ph.D. work. The article proposes a framework to study plant uses. This framework uses phylogenetic comparative methods applied to anthropological data, which involves – to put it simply—the construction of language family trees. "Normally we associate the use of (…) phylogenetic analyses to determine the relationships between species and groups of organisms, tracing their evolution back to putative common ancestors. (…) Teixidor-Toneu et al. have applied comparative phylogenetic methods, not to plants themselves but to the medicinal roles to which they have been put. Even within ethnobotany this is not a common approach, but the ability to use multiple types of data can produce robust and detailed information about how cultural information is transmitted"
Medicinal plants are of special interest because of their role in maintaining people's health. Phylogenetic comparative methods can enable researchers to study the diversity of medicinal plant applications across cultures, and also to infer changes in plant use over time. These methods can be applied to single medicinal plants as well as the entire set of plants used by a culture for medicine, known as a pharmacopoeia. "We are trying to understand plant use across cultures. The first thing we need to understand is how cultures are related. We use phylogeny models, or pedigrees, to trace relationships between people and cultures, based on language similarities." "Having traced evolutionary relationships between cultures, we can identify and try to understand the ways plants are used in different cultures. Within this framework we can also study how uses change, and it can be linked to geographical models. So, we end up with what we could call a biocultural geography."